Are you considering a new look for one of your rooms? Are you tempted, perhaps, by an easy breezy feel and crisp, fresh colors? Well, take care, and take a moment also to consider whether you’ll still love your choices in the middle of winter. It’s easy, at the height of summer, when the stores are full of linen and lobster, shells and sailboats, to get swept away by the cool coastal look, regardless of its suitability for your lifestyle when there is a pumpkin on your doorstep or six inches of snow on the ground. 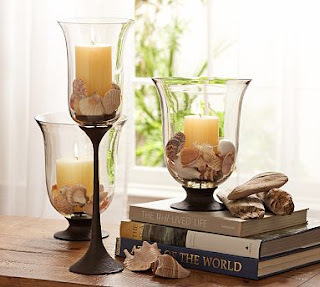 Just the simple act of imagining your decor six months hence can save you from getting too caught up in the store merchandiser’s fishing trap. On the other hand, with a little thought and planning, you can turn the seasonal shop display calendar to your advantage. If you love purple or orange, don’t try to shop for new accessories in May – you’ll find a much richer selection if you wait until November. And if you need new office furniture, don’t splurge in June, but instead take advantage of the ‘back to school’ offers at the end of summer. Moreover, if you’re really bold, you’ll buy your bunnies just after Easter, to scoop the best bargains ready for next year. 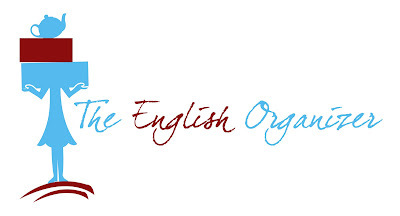 Buy: Organizing & storage; TVs (Superbowl offers). Colors in Season: Red & white (for Valentines day). 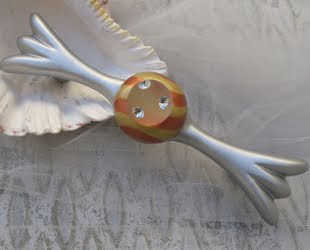 Buy: Theme of birds, nests, eggs, leaves. Colors in Season: Green, yellow. Buy: Beach/water theme; linen; Nordstrom‘s anniversary sale. Colors in Season: Blue, white, aqua. Buy: Office supplies & furniture; Crate & Barrel‘s upholstery sale. Colors in Season: Orange, Black (Halloween); Rust (Thanksgiving). Buy: Dining furniture & dinnerware; Leaves and harvest themes. Buy: Guest beds & linens; Faux fur, velvets, brocades. Colors in Season: Red (Christmas), blue (Hannukah); purple & jewel tones. Do you have any rooms you only like to use at particular times of the year? Do you shop for your home according to season? Photo thanks: Pottery Barn, Country Living, Better Homes & Gardens. When I go to the UK, I love to travel over there with one suitcase and come back with two. I know that’s the opposite of what many people do (crossing the Atlantic to shop in New York, for example), but I love bringing home a few quirky bits and pieces to remind me of my other home. A mug with a very favorite motto. 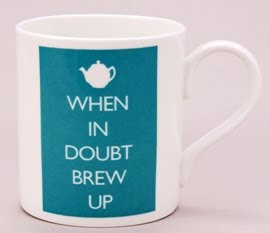 It’s part of the ‘Keep Calm and Carry On’ revival, of course, but all over England you will in fact find that when times get tough, the kettle gets switched on. 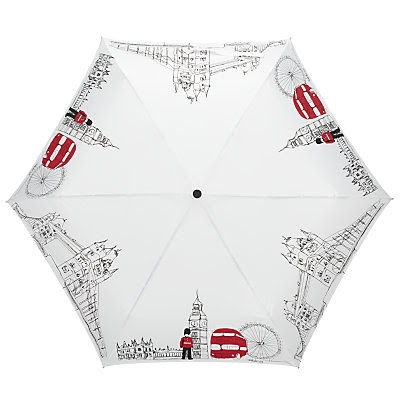 I needed a new umbrella and this one from John Lewis is a surprisingly stylish rendition of some famous London scenes. (Did I mention I’d like my ashes scattered in this store?) At any rate, next time it buckets down in San Francisco – hopefully not until November – I’ll be happy to dodge the puddles with this in hand. At the risk of offending my American friends, I can’t help but feel the Brits have better greetings cards. I always return with a nice clutch which I then use with great caution, only for very special people. 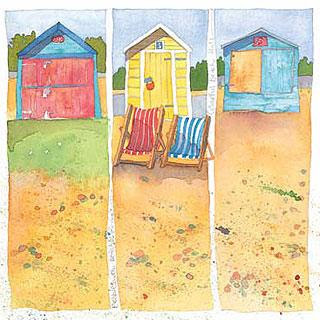 These beach hut cards are by the wonderful Emma Ball. 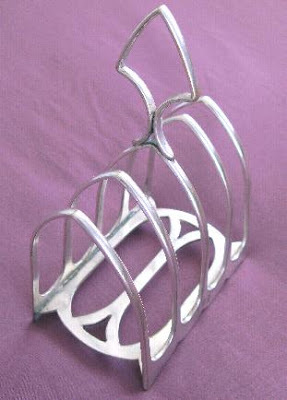 Toast racks don’t seem to be available in the USA, which makes sense because the British tradition of cooking up a batch of toast, bringing it to table, and letting it go cold while you eat your cereals/eggs/porridge really is a bit daft. So this one is heading for my kitchen to keep coupons and pizza leaflets in order. As for the ruler, I just sort of liked it. It folds in a combination of ways and I’m sure if I ponder it for long enough, I’ll be able to display it in a way that’s stylish and suitably Pottery Barn-esque. What type of things do you like to buy on vacation? Care to share your favorite treasures? I’m trying to train myself to seek inspiration and ideas from a wide range of sources, including stores where the price tags leave my fingers somewhat singed. Right: Bucks County Frames at Etsy, $25-$95, depending on size. Left: WS Home, $38 (silver plated, admittedly). Right: Beach Grass Cottage at Etsy, $14 (half dozen for this price). 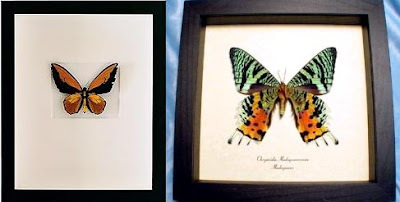 Right: Real Butterfly Gifts at Etsy, $22.49. I’m pretty much coming to the conclusion that Williams-Sonoma can afford more expensive photography, but that for real style and value, chez-Etsy is where the smart shoppers lurk. What do you think? Are there stores where you go for inspiration only? Yoo-hoo! Yes, you… I know you’re out there, gleefully snapping up thrift store bargains or even Craigslist finds: ugly pieces of wooden furniture with great lines and even better character, just begging for a new look by being painted, stained or otherwise re-imagined. And I know that in many cases, you’re treating your born-again furniture to new hardware. 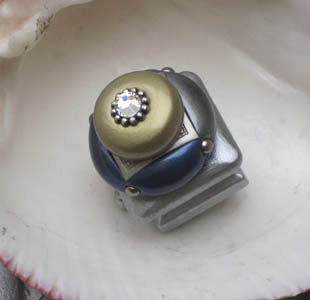 Well here, for you to drool over and perhaps even splash out on, are some of the most amazing knobs and handles you are ever likely to see. Take a look, and I defy you to deny that these would be the ultimate finishing detail. 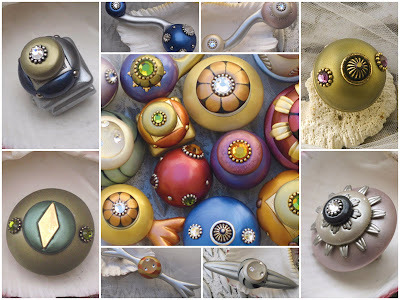 They’re made by Susan Goldstick in Sausalito, California. She likes to refer to them as house jewelry, and I can see why. Let’s be clear, they are not cheap – to add these to your project would probably cost more than you paid for the ugly duckling furniture that you’re working on. But for jaw-dropping style, flair, panache and sheer ‘wow’ factor, you might want to consider turning your piece into a stunning and unique item. And the total cost will still be far less than a new dresser from Ikea. If you can only justify or afford to put this hardware on one piece in your house, I vote for the guest bathroom or powder room, where your visitors will have ample solitary time to admire the hardware closely and be totally impressed. And lets face it, some of the pieces are a little quirky, so they’d work best in a smaller space where you are probably taking more decorating risks than usual. 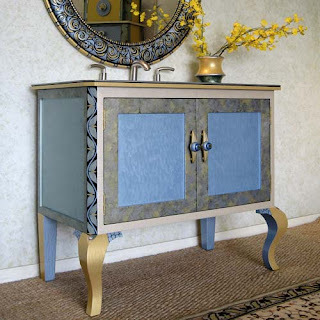 However, in the delightful event that you can afford to go bolder and bigger with this wonderful theatrical look, check out Susan’s incredible line of furniture, mirrors and accessories, which I promise will take your breath away. In the meantime, I’m just gazing longingly at the tiny works of art shown above, and wondering what furniture I own that could possibly begin to do them justice.